With cheese being so expensive this simple little addition to cheese sauce makes the taste deeper and appear cheesier but by using less. 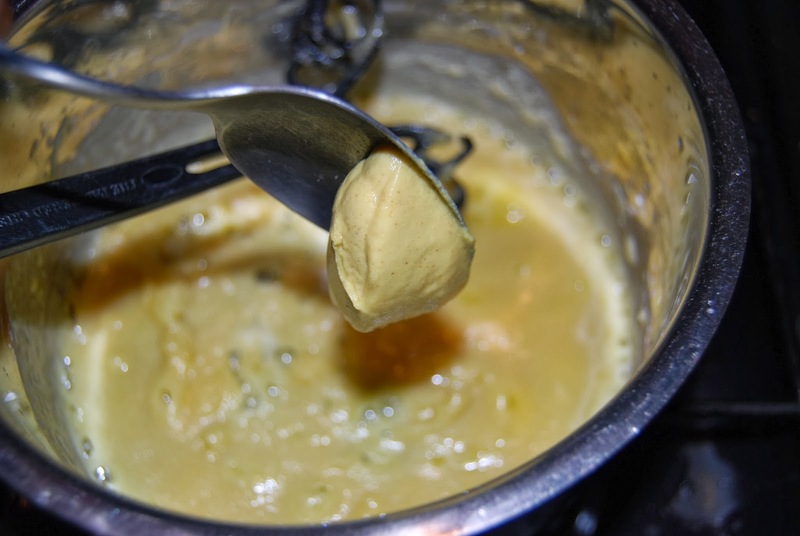 As you make your roux (butter and flour) add a dollop of dijon mustard to the mix. Add boiling milk rather than cold in small batches to help the silky smoothness of the sauce. This works for in all bechamel sauces. Then use a strong / mature cheese to give lots of flavour without using too much cheese. If you are using this as a topping (lasagne/moussaka) beat two eggs really well, allow the sauce to cool slightly before mixing them in well. This will give a richer taste and give it a light fluffy feel to the topping. You can still add a light sprinkling of cheese on top but the eggs will brown nicely.